I find this part of the story as troubling as the warrants themselves. Google defies the court multiple times, with no consequences? At a minimum, a Google executive should have been required to show up to ‘spain himself. These incidents make clear that Google is a law unto itself. I think this issue goes deeper than whether people let their google accounts track their location. Similar types of searches have been happening in the past, as in the case U.S. v. Graham – https://harvardlawreview.org/2017/02/united-states-v-graham/ has a short summary. I wrote a draft of an academic paper a few years ago (which admittedly didn’t make it very far towards getting published) that contemplated this issue but using as an example the automatic license plate readers that were installed all over US highways following 9/11 – that type of database also aggregates the movement history of thousands or millions of people and could be used to find the proverbial needle in the haystack like Google location was in these cases. The example of airport security scanners distills many of the arguments with these searches. During the 1970s when there were multiple airplane highjackings, airports started installing metal detectors. To my mind, there’s no question that that is a type of search where there is something much lower than probable cause to scan and search every person. But most people who considered the problem were convinced that some type of search or scan was appropriate even in that situation because of the perceived necessity of addressing the plane highjackings – i.e. the importance of avoiding a catastrophic event was sufficient justification for a minimally invasive search of millions. By extension, the practicalities of solving a string of robberies or locating a murder suspect, like preventing a plane highjacking, will probably convince law enforcement and a significant portion of the public that these dragnet searches with minimal suspicion as to any one person are desirable, or “reasonable” in 4th Amendment terms. To me at least, this explains why 4th Amendment law has turned into such a hodgepodge of “exceptions” and “non-searches” to the point where the law is a complete mess with minimal doctrinal coherence. Courts keep letting new invasive techniques flourish because they can find at least some use cases where they seem justified. I think that the Swiss model – https://serval.unil.ch/resource/serval:BIB_6E5F1222109D.P001/REF.pdf (since repealed to some degree https://www.bbc.com/news/world-europe-37465853 ) points a way forward. The question is whether the invasiveness of any given search or search technique is proportional to the need to do the search. And for more invasive searches, more independent oversight and rules on data retention become more necessary. Basically, that would mean that the searches discussed in the article can only be done to investigate the most serious of crimes, would require extensive tailoring of the search (like limiting the geographic area of the dragnet and the time-frame over which data is gathered), would need independent oversight from a court beyond just approving or rejecting the search, and there would need to be a policy on what to do with the data, like deleting almost all of it, once the search had narrowed down a list of suspects. In short, this type of tracking and surveillance will happen even if you give up your computer-phone – think facial recognition as an impending surveillance tool that will lead to the same questions – and we probably need a new legal doctrine to address it because the status quo is an inadequate mess. We have all of the law we need. B. of Rights amendment number four; NO unreasonable search or seizure. If the cops want it they need to specify what is it and get a judge to sign a warrant. It’s right there in the text of the Bill of Rights. What we need is to get rid of government officials who cannot be bothered to follow the law. Approximately 99.999% of the [expletives deleted]. Something similar has been used in Germany for many years. Although here the police does not use Google but the mobile carriers instead. They collect all call detail records originated in the cell(s) in which the crime occured, up to 10 weeks (!) in the past. I hope this helps people in other countries to prepare for or even better fight these policies. How is this different from gathering up video footage from all in the vicinity of a crime in hopes of spotting the perps either casing the joint ahead of time, or speeding away? Not that I don’t share your concerns, but darn it, they’re trying to apprehend the bad guys. What if it turns out they had the availability of this tool but didn’t use it, then said bad guy kills someone, or several someones? Maybe one of them is your Mom, or sister, then what? Feel the same? This ‘what if’ does make me feel different. No, I don’t like it, but putting it on the scale leads me to conclude better to give the cops the tool than protect me to the nth degree. Personally, it still upsets me quite bit regarding cops confiscating money from people, where law enforcement subsequently keeps the money. Yikes! bingo. it’s all about which judicial lens/analogy one uses. Is your cell phone (when it’s pinging a tower) more like you walking in front of a CCTV camera? Is your cell phone (when it’s not pinging a tower and retaining it’s location history) more like your personal diary? 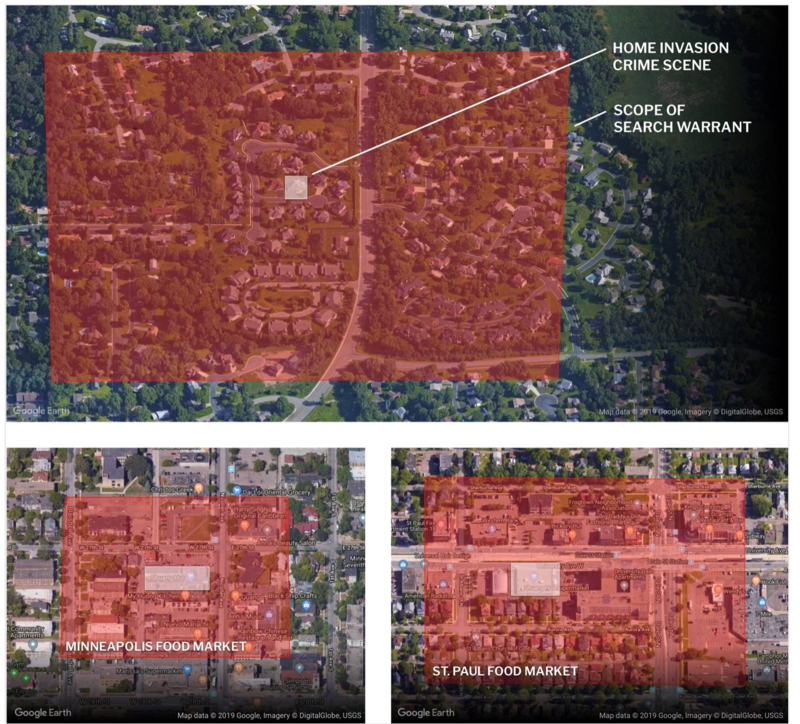 The difference between using video evidence from a crime scene and tapping into the phones of up to thousands of people in the crime scenes general area is that the latter effects more people and is far more invasive. I don’t want police to physically search me and my home just because I was near a crimes scene, similarly, I don’t want police combing through my digital footprints. Recently, a women where I was working gushed over an impending vacation to Jamaica. She then opined that she was concerned with the street crime. She was comforted by others that she would not be exposed to it as she would be staying within a resort. I struck up my own two cents when I noted that the womens’ bank was probably accountable for crimes several magnitudes greater than street crime and was greeted by looks as if I had two heads. Video doesn’t have any of your personal data. John, might I offer that that sounds like the argument that gets people behind the thinking of Jack Bauer: got to lie, spy, kill and torture on the off chance that the Law might keep The Terrorists from detonating a nuke/releasing a plague among us. Abu ghraib and Guantanamo are a couple of endpoints, along with other gulags and interventions. Anyone follow police clearance and conviction statistics? These are of course gamed, and I hear that in Dear Old Blighty the gaming is far worse than here. Even with the benefit of gaming, the rates of ‘effective enforcement” are, shall we say, low. Police are mostly RESPONSE entities, when it comes to crime other than “crimes against the state” like Occupy. When they respond at all. Some of them may be “trying to apprehend the bad guys,” but that is hardly the substance of what they mostly do. Good luck with apprehension of the mope that burgles you, or recovery of your stuff. And in lots of places, like Chicago when I lived there and maybe today, there’s this concept among the law enforcement “community” of “misdemeanor murders,” not worth investigating or seriously prosecuting (plea bargains and corruption and other social defects, like labeling so many of the current shootings as just “ghetto crime.”) The job opening that landed me a decent lawyer gig with the US Environmental Protection Agency happened when the man I replaced was found tied to the posts of his bed with his throat slashed. Joe was gay and apparently took the wrong person home. There was a pattern of similar murders at the time, but no one ever was arrested, and no police came to inquire from the folks who knew him about his habits and contacts and movements. “Predictive policing” is state terror, however dressed up in Big Data AI clothes, including all this “data harvesting” from among us mopes’ nearly necessary electronic devices (lots of very smart people feeding the addictive responses of the rest of us, whether opioids or “smart phones” and these multi-player games that displace meatspace community. Looks to me like all of this is now completely baked into the “system” and inevitable. But to believe or hope that the Law will use all this data, all these images, for “public benefit?” That really stretches the definitions and ignores the reality of how “our” political economies have actually manifested and evolved. You and I have no “rights” that we cannot effectively enforce. What “rights” do I think we have? Pretty much limited to the “right” to try to stay small and inoffensive and impoverished enough to not be worth the attention of the system. Ahem, the US is not central London and we don’t have CCTV cameras deployed by the city even in Manhattan. The cameras are private cameras, overwhelmingly focused on doorways and in lobbies. They don’t track you on the street the way CCTV cameras in Central London do. Nice try, attempting to depict being photographed when in convenience stores as being anything like being constantly geolocated by your phone. You have to admit that a Reverse Location Search Warrant can be a great tool for police. As an example. Suppose that there is an anti-fracking meeting in a large building downtown. Well, the police could drive by that building and then demand from a friendly Google what mobiles were in the area as well as the phone’s owner, billing information, phone numbers, and two months’ of their web browsing history and location data. The police then get basically a roll-call for everybody at that meeting plus all the other info that can then be sent on to one of those fusion centers The same can be done for a street protest by having a plain clothes cop walk through the middle of that crowd. Just imagine if Nixon and the FBI had that capability back in the 60s to use against the anti-war protesters. So right it makes my teeth hurt, RevKev. Cell phones are convenient for everyone, esp the so-called Law. Or, if some people working for Trump talked to Russians, that info could be scooped up and given to FBI and Mueller. That will be “leaked” to the Corporate Media and they will know what to do with it. Of course, they would not need to watch Hillary or anyone but Trump because it’s ok for anyone to talk to Russians as long as they don’t suggest we should end a few of our Forever Wars or some other Holy Grail of Establishmentism. does it help to have the phone off? battery removed? But people would have to do that BEFORE they went to the meeting. And what makes us think they aren’t already doing this, using tower spoofers and skipping the warrant? I am acquainted with several practical paranoids who carry there phones in Faraday bags or containers, only taking them out for use. Just a thought. Obviously, we should make cellphone ownership mandatory. For people’s personal safety. I think you mean “Raleigh, North Carolina,” in the paragraph above the “from WRAL” excerpt. I don’t have a phone, smart or dumb, as I have a problem with voluntary permanent surveillance devices. I have (carried) a tablet, several actually, and have regularly checked the data that Google has collected which has shown me at the same location, home such as it is, since Google has been tracking such data. [Extremely early alpha/beta tester from their beginning.] Now it looks like I need a burner tablet, just in case, to read my electronic books, methinks. Not fun to create but it can be done. That, or have paper books to read now and again. Just turn off any radio capabilities and keep it in a Faraday bag. “Turning it off” does not necessarily turn it off. This is well known in the IT/communications/security communities They can also be remotely enabled and locally. invisibly enabled by malware on the device, similarly well known.That’s also the case with location via cell tower’s signal strengths, GPS, microphone and camera. A “Faraday bag,” as you refer to it but normally known as a “Faraday cage,” still allows the system using its sensors and recording such whenever out of the bag and still doesn’t prevent motion sensing for use in dead reckoning. And such can be fed back to Google et alia at a later time, also a known thing. The literature is very extensive around all of this and I’ve spent a long time immersed in these communities due to my heavy engineering background, military security background, and interest in all things political-economy. Plus, the government is at the center of my threat-model. Current/future activities are the hazard. Everything else is well known either due to my security clearance, veterans health-care or via the various hacks (OPM, VA, &c.) in the case of foreign actors. Even the information brokers get to play with my hideously large dataset. The data that is “out there” is something I keep as close a note of as I can. I call this personal due diligence. I don’t need such devices: Send me an email, I might get back to you. The risk/ROI isn’t even remotely balanced in my case. Even the government knows to send emails! I do understand why people find these devices useful. I’m not one of them. Thanks for the details. The Faraday Bag remark references the multitude of soft Faraday Cages available at retail. Briny, thank you for your reply, I was reading these comments specifically to find information on the “Faraday bags” (the products are marketed with these names; actually, they look more like wallets). Is there a single book or website you recommend to get a good overview of these issues? But here’s an important caveat: Your phone could be listening to your conversations and storing them on disk, waiting for an internet connection. As soon as you take your phone out of your faraday bag, it can use the internet to upload recorded audio to your attacker. Two, although eff.org is already known to this community. The other is where I found links to this site from some kind soul so likely not out of place to post here: schneier.com. His books should be considered required reading by anyone with some level of concern around these topics. “Data and Goliath” and “Click Here to Kill Everyone” are dead on topic and immediately relevant. The comment threads can get more than a little deep but the posts themselves are quite accessible. Fridays there’s an open comment thread. Don’t hesitate to ask questions, we don’t bite. The problem just isn’t with phones. Sure, it’s easy to say just don’t use a cell phone. But this technology is already built into cars and other devices. 5G is coming and it’ll be built into almost everything. What about RFID chips? Or the next gen of them? Facial recognition? Google checks your location up to 14000x day. They probably know how long you spend in the bathroom. The technologies are coming (and here) that will allow people (governments) to track our every move. We need to decide as a society how that will work. And, we need to do it fast. It took me less than 15 seconds to conceptualize turning ATM/credit cards into surveillance devices including then issues involved in powering them from the ambient environment, sensor arrays, transducers, storage, etc. and I’ve the tools (engineering, simulation…) to execute it. But there’s no way I’m putting such a design anywhere outside a secure environment (and my ideas on what’s secure are pretty extreme). Now, the reality is that there will never likely be any restrictions on the use of such technologies as they serve the interest of our “masters” despite what any small segment of the rest of the populace may demand. I don’t see that changing. Thankfully, I’ll not be around much longer (terminal illness) and have no hostages to fortune. I do wonder if all species end up destroying themselves this way. > Google checks your location up to 14000x day. That is a bit over once every six seconds. A colossal, parasitic drain of electrical power from both ends, when everybody charges their phones, and Google running servers in locations where they get cut rate power prices not available to anyone else. Lots of consumed energy so Google can sell an ad to someone trying to get you to buy their crapola, and that’s the benign take. Same thing with Spamazon. A couple of weeks ago in links were articles about a woman trying to get by without any contact from Amazon, and the damn apps called home 300,000 times in a week. Which is worse for the environment? This tech bro spying idiocy on the masses or Elon Musk flying in a jet spewing CO2 everywhere. Stop the spying and save the planet. Has anybody done the math on this power consumption and greenhouse gasses? If I turn off the GPS locator am I safe? From what I hear, no. Maybe consider a Faraday bag but you won’t be able to get incoming calls & messages until you take it out of it. Or, alternatively, just leave your mobile at home. Or, alternatively, just leave your mobile at home. In fact, probably should not live within a mile of anyone else and never leave your Faraday home. Does Sunday morning television sell Faraday windows and siding yet? Don’t shoot the messenger, mate. To me a mobile is just a tool and not part of my identity. If I am going downtown then I usually don’t bother to take it. If I am going on a long trip then I usually do. Hmmpphh, us Luddites don’t get no respect! I carry a tracfone and that does for emergencies. Cost: $20/every 3 months and I think it cost me $25 originally (have had it for at least 6 years). Have a tablet at home. 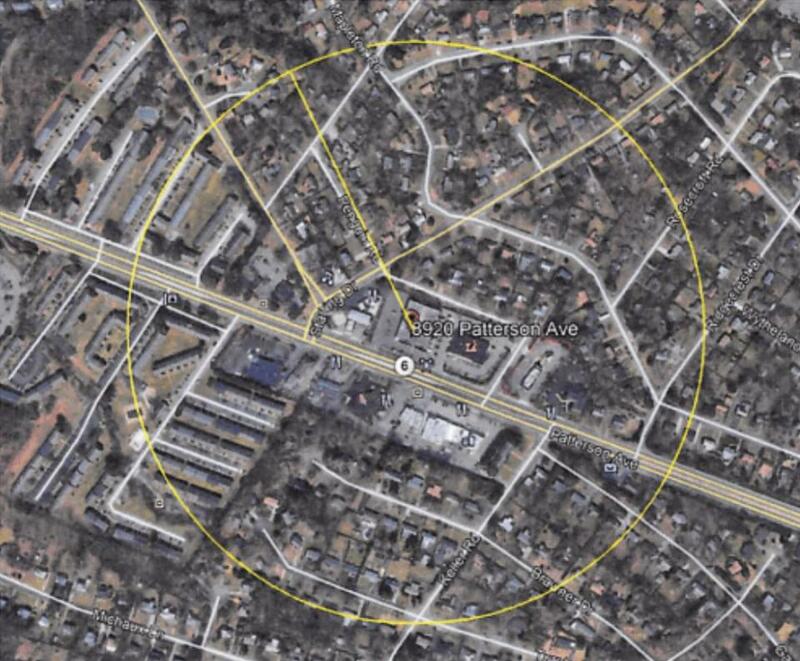 Cell phone triangulation way less precise in location than GPS, plus your provider keeps data only when you are using it (ie, you are not tracked between calls unless someone gets a warrant to locate you going forward). There are court precedents that have also found that triangulation is too approximate to locate a phone user at the scene of a crime. Not shooting at all. Just bouncing along…) I live in a remote valley somewhat near the insulation of Faraday naturally. People are appalled when I tell them if they want to text they have to go outside, about a hundred steps in front of the house for a sweet spot. I do leave my mobile at home. It’s not hard. And please tell me where you face is actually recorded when you are out and about? Even here in Manhattan, private cameras on buildings are aimed at doorways and don’t pick up foot traffic much/at all depending on their orientation. And they aren’t very good. When I lost my laptop in a cab, even though I had a very precise time of arrival (w/in 15 minutes) my building looked +/- 2 hours on the tape and was unable to find me entering the building. I wish I felt confident about Faraday bags. You can test if they receive cell phone calls but they use other frequencies too and you can’t readily verify whether the bag is blocking them too. Any reader suggestions here? One of these days, the network upgrades are going to force us all off dumbphones. Removing the battery is about the best you can do and that’s not possible on very many phones today. “I wonder why?” Aside from planned obsolescence that’s just my deep paranoia talking. During the Iraq occupation, the resistance learned to remove the SIM card from their mobiles when not in use. That’s what I thought re: the batteries, but making batteries hard to replace also functions as a kind of built in obsolescence, which I think is the more likely cynical explanation. Depending on you business or corporate trust issues, faraday bags . com claims to block all signals with their products. they claim independent testing. Any gear heads with “experience”, radio waves used are generally will very ( they have expanded the spectrum as more frequencies are needed. As cell phone jammers are illegal except for government use ( prisons are most common I recollect ), consider a low power jammer in the Faraday bag with your phone, yes another battery, and no I have not researched how practical or not this idea is. It’s also possible to use an Android phone without any Google account at all but you will have to “sideload” apps obtained off the web or by using a different Android device. I know that this works because I do it myself. Of course if you assume that Google or the NSA are always tracking you regardless of the phone and account settings then any steps an individual takes short of not using a phone won’t help. But I don’t think that’s the kind of surveillance the MPR story is talking about. > If I turn off the GPS locator am I safe? How would you know it’s really turned off? I use an ancient Samsung dumb phone. My understanding (please correct me if I’m wrong) is that law enforcement could only trace my general movements by issuing a subpoena, specifically for that device, to the phone company. Is that so? However, I recently purchased a I-Pod Touch, in order to back up my music library (usually accessed on a now-discontinued model with no Internet access). This device does everything a smart phone does, except make phone calls. The question is, even though I’ve turned the Location Services off, and keep the I-Pod turned off when carrying it as a back-up when traveling, I assume it can still be tracked in real time. Is that so? Please read the article above carefully. It answers most of your questions. Re the iPod, if it si more recent than I believe a third gen, it GPS locates you. If you install Google Maps, Google has access to your location data. another consequence of these data sweeps: once the investigation is closed, all the data law enforcement collects become public information. There’s no reason that one has to leave their phone turned on, or not wrapped in a RF shield, except at certain times of day. Some phones, even when turned “off” have a battery backup that may track your location. The aluminum foil wallet or more elegant solutions prevents that. I only receive calls on the hour and half hour by prior arrangement with friends. It’s refreshing to not have to constantly answer the thing, plus I’m not frying my testicles or eyeballs or brain by having it constantly pinging its location to the nearest cell tower around the clock. I have a lawyer question. So a crime is committed and the popo get their reverse location warrant. What happens if they are not able to find the perpetrator of the crime they got the warrant for, but after searching a few hundred phones they discover other crimes unrelated to the warrant? It seems to me that any evidence found this way would be inadmissible in court as well as any evidence found subsequently that was based on the knowledge from the searched phones. So this policy could have the effect of letting criminals get away, although the way things are going, my guess is that if this started to actually happen our Congresspeople in thrall to the surveillance industry would simply pass a law saying these types of searches are no longer in violation of the 4th amendment. Should smart phone users be concerned about unauthorized remote access to their cameras and microphones, in addition to the geolocation items noted? With a computer, one may cover the camera and use a dongle or similar to try to disable the microphone. Those prophylactics may not work with phones, even with the features switched off in settings. What we need is some form of modern satyagraha…. One is that a phone switched off is not an assurance – more so for apple products, known to have additional power sources built in. Spectrometer would be for a different purpose. Simply using the built-in motion sensors (which can also be used for gait analysis as a fact in passing) with intermittent GPS fixes is fairly accurate, more so as you can use the GPS fixes to tune the dead reckoning. I actually know that hardware/software combination from back in the day in the military. And, yes, Bruce Schneiers schneier.com is a wonderful resource. I don’t participate much in the comments due government enforced NDA from the nether regions. When the NSA types couldn’t fix their gear, well guess who they got? Thankfully there are wide areas where I’m stilled allowed to play. AI/ML dates back to my preteen years, well before they got their hands on me. Yves – An interesting typo: “Google deifies the court multiple times, with no consequences?